A unique mosaic of ecosystems of topmost summits (lichen tundra), grasslands and peat bogs of the summit plateaux (grassy tundra) and leeward slopes of glacial cirques of the Krkonoše Mts (flowerich tundra). It represents an unusual combination of Nordic, Central European and alpine organisms and their communities. It covers an area of 47 km2, i.e. 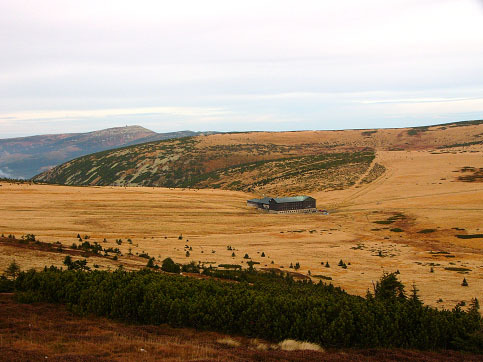 7.4% out of the whole area of the Krkonoše Mts (32 km2 in the Czech part and 15 km2 in the Polish part of the Krkonoše Mts).